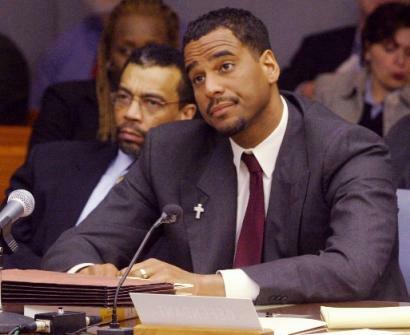 On Aug. 19, Retired NBA star Jayson Williams will be moved from a Correctional Facility in Wrightstown, New Jersey to New York City’s Riker’s Island where he’ll begin a one-year sentence for drunk driving. He was serving a 18-month sentence for aggravated assault in New Jersey. Joseph Hayden, one of the attorneys who represented Williams in the New Jersey case, said that his client has been working “real hard towards his rehabilitation.” According to Akhtar Farzaie, Williams’ manager, he goes to Alcoholics Anonymous six times per week and teaches Bible studies classes. Just two years after retirement, Williams shot and killed Costas Christofi, a limousine driver with a shotgun while showing it to friends. According to court records, he neglected to check the gun’s safety lock before snapping it shut. After the shooting, he wiped the gun clean, placed it in the Christofi’s hands, took off all his clothes, handed them to a friend and dove into his swimming pool. Williams’ lawyers claim his actions were the result of being in a panicked state. After he accepted a plea deal for the fatal shooting of Christofi in 2002, Williams drove his SUV into a tree in downtown Manhattan. Williams was a 1990 NBA first-round draft pick who averaged more than 10 rebounds per game in his final four seasons. He played nine seasons with the New Jersey and the Philadelphia 76ers and made the All-Star team. He had six-year, $86 million contract with the Nets before a leg injury forced him to retire in 2000. Lindsey Lohan has yet to do any real jail time, neither has Charlie Sheen.